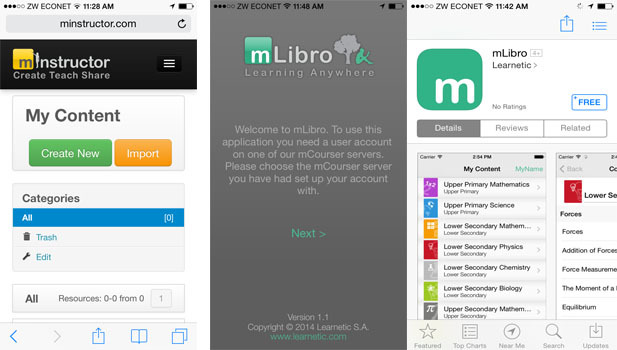 Local digital learning solutions provider eLearning Solutions says that it shall be launching a mobile eLearning platform called mCourser next week Tuesday. At a pre-launch media briefing the platform was demoed and questions on certain aspects of mCourser were addressed. The platform offers learning material for primary school pupils (Maths and Science) and high school students(Maths, Physics, Chemistry and Biology). The learning content is from a universal curriculum. The focus on Maths and Science subjects especially at a formative stage is definitely commendable, considering that our Ministry of education has decided to pay more attention to Agriculture as a core subject. According to Isaac Chafera from eLearning Solutions there is consultation with two local universities and the local Curriculum Development Unit (CDU) to create local material for subjects like Shona and History. mCourser has two extensions, mInstructor and mLibro, meant to enhance the effectiveness and reach of the platform. mInstructor is meant to give teachers a facility to create content they can use for their pupils or students. mLibro gives a user offline access the content they have paid for on mCourser. This offline ability will likely prove to be one of the stronger points of mCourser as it addresses the issue of continued data expense inherent to e-learning. mLibro will be available for Android, iOS and Windows Phone devices in addition to any PC running Windows. The platform allows users to access subject content for the respective period that they pay for with a month’s access to the learning content pegged at $2. The platform has a payment gateway with options for EcoCash, Telecash and OneWallet. 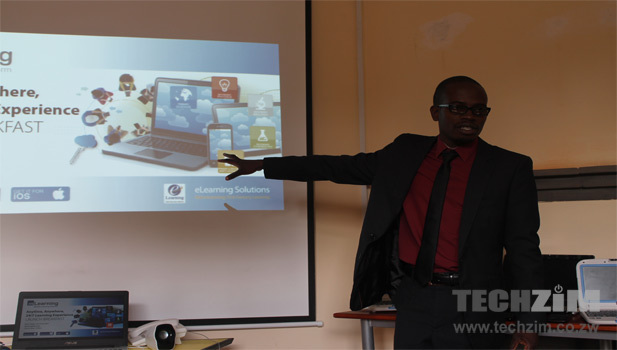 eLearning Solutions has been gathering customer feedback through a pilot that was launched in January this year and although the official launch is set for the 17th of June it is already accessible on www.mcourser.africa.com. We would be interested to get feedback from anyone who has used the platform about their experience with it and the value they feel it provides for any pupil or student.